This large neon clock measures 14-1/2 inches in diameter! 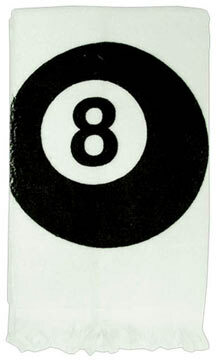 It looks like a giant 8 ball. Through the frame of the clock you can actually see the neon bulb. 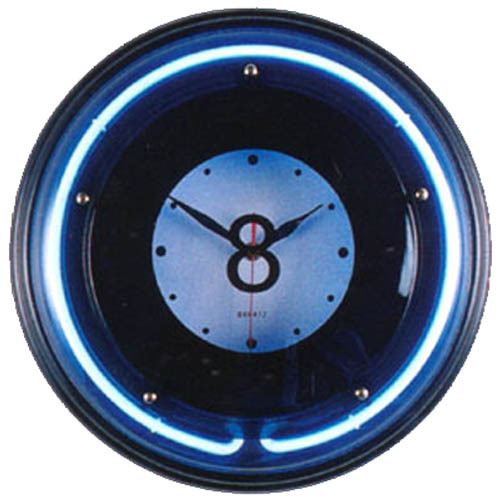 The clock features a quartz movement for accurate timekeeping.